Received couple of good rains, broadcasted around 7 Kgs of cowpea and blackgram seeds. This time couldn't get sunhemp seeds. Plan is to grow this cowpea for 6 weeks and then plough and add to soil and start rice cultivation. I first heard about Inga Alley Cropping in 19th Organic World Congress (OWC) held in New Delhi in November 2017. There Mike Hands was honored with the 3rd Organic Farming Innovation Award (OFIA) for the Inga Alley Cropping system he had developed. 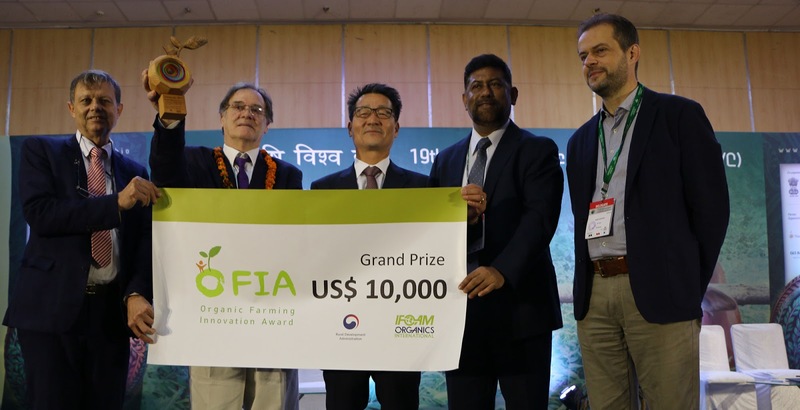 The OWC highlighted Inga alley cropping as an innovative, real-world solution to promote sustainable agricultural practices and end slash and burn. I didn't pay much attention to it at that time, recently while reading some article saw some reference about this and read more about it. Slash and burn is a farming method where the families cut down and burn patches of forest and do farming. Since the fertility is high initially they get good yields and 2nd year it reduces and by 3rd year it normally fails and families leaves this farming area and move to the next area. Hence Slash and burn is a big threat with increasing deforestation and pollution. 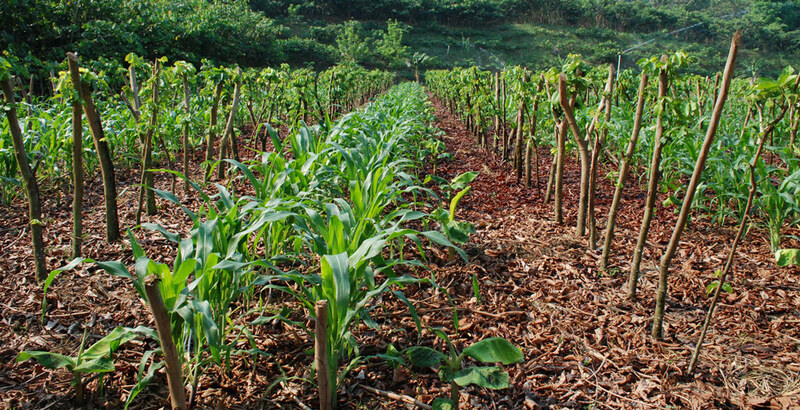 Inga Alley cropping is a sustainable farming system, based on nitrogen fixing tree Inga and this is a solution to slash and burn. Inga Alley cropping maintains fertility of soil year after year, there by slash and burn becomes unnecessary. In this system of deep mulching using pruned green leaves from the trees which are contour-planted in hedgerows. It is capable of achieving food-security in basic-grains for the family, upon a permanent plot which can be located near their dwelling. The system produces firewood for the kitchen and virtually eliminates the need for weed-control. 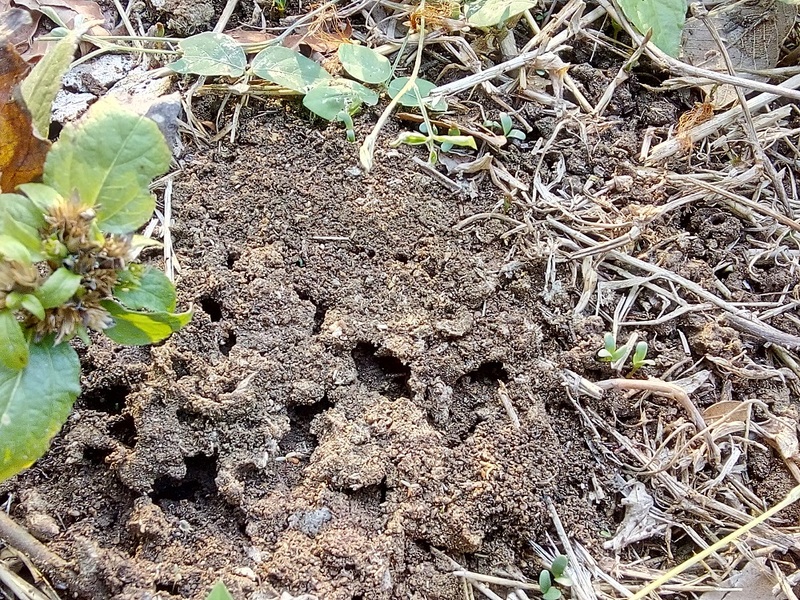 Weed-control is achieved, firstly, by shading as the growing trees develop a dense canopy; and secondly, by smothering under the deep, tough mulch following the first pruning of the trees. Once the crop has grown (3 months for maize and beans), the trees are left to reform their canopy until the whole process is repeated the following year. 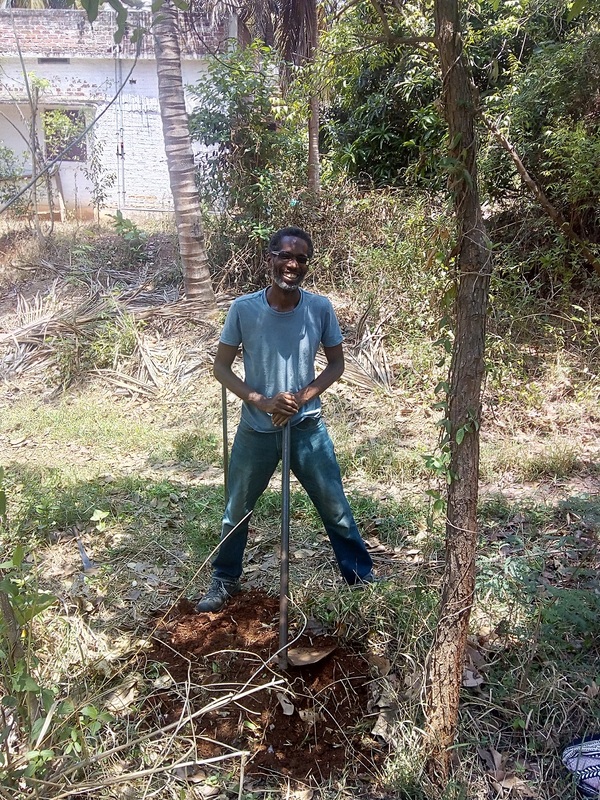 The trees are pruned to chest height, the branches are stripped of foliage for the mulch; the finer branches are placed on the upslope side of the trees to help prevent soil movement, and the larger stems and branches are removed as a favourite domestic firewood. This tackles another important cause of deforestation. Plant Inga trees in rows. Trees should be planted 1.5ft apart (18 inches) along the row, and rows should be 10ft apart. The rows should be oriented in east-west direction, if possible so that crops gets more sunlight. We can grow corn, beans, pepper, squash and other crops while the Inga trees are growing. When the Inga is around 12-15ft high (which takes 2-3 years) and its canopy is shading the whole field, cut the tree trunk at around 5ft from the ground. 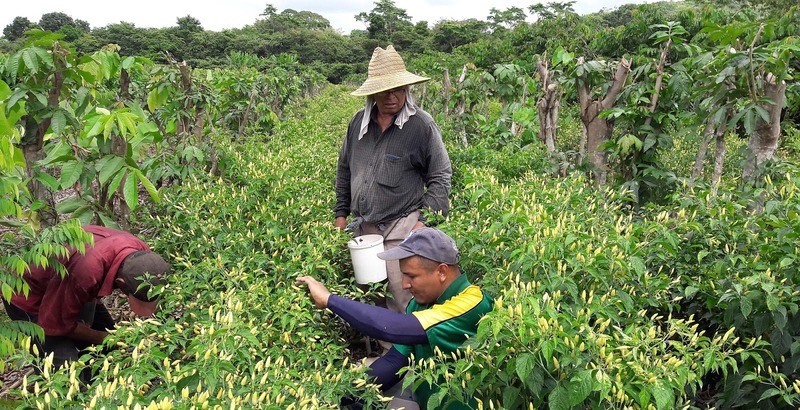 This releases the nitrogen accumulated in the tree’s roots into the soil, making it available for crops. It takes only two to three years to establish an Inga alley plantation, and thereafter it functions year after year. That is acceptable. Is this applicable in Kerala climate? Not very sure, we don't have Inga tree here, so possible leguminous trees are Subabul and Glyrecedia. Also there are reports that the root competition may be there between crops and hedgerow trees and width is an important factor considering this. I am planning to try this in one area where I am planting turmeric, worst case, after a period all these trees can be cut and mulched. A friend called Suresh wrote to Mike Hands asking his suggestions as replacement for inga trees and here is his response. "I woud have suggested Pongamia spp. as worth a trial, but neither Gliricidia nor Sesbania. The reason is that they have small leaves that do not persist as mulch. One of the characters if Inga is its tough foliage which protects the soil surface layers and suppresses weed germination. Pithecellobium spp. might work, but you would need a species with as big and tough a foliage as possible; it is botanically related to Inga. Another genus which looks more promising and which is also closely related to Inga is Archidendron. There are many species across SE Asia and probably N. India. I have seen it in Borneo and it looked very like some of the Inga spp. of which I have experience. I strongly recommend this genus. Another promising-looking species, widely used and coppiced as shade in Malaysia is Pterocarpus indica. I have no experience of managing any of these"
First rain of 2019..summer rain, not heavy but reasonable. Rained at home. Good rain, land is really wet. Farm house has water connection now, staying there is possible, but no electricity connection or solar lighting. If there are people who can cook their own food and adjust with the limited facilities, then then can come and stay for short periods from 1 week to 1 month. If you come by train, get down at Palakkad Junction and get bus to Palakkad Town and come to stadium bus stand. From here, get bus which goes towards Meenakshipuram via Vandithavalam, get down at Pattikulam junction and get an auto to Nandan's farm. We grow coconut, mango, banana,paddy,turmeric,taro,elephant foot yam etc..following Fukuoka's natural farming principle. Planting, harvesting and some amount of weed control will be the basis of all farming activities. Charles from Canada originally from Trinidad and Tobago helping me in planting greater yam. He has spent 3 weeks in farm house with no electricity and cooking using wooden stove. But he also depended on the hotels nearby. 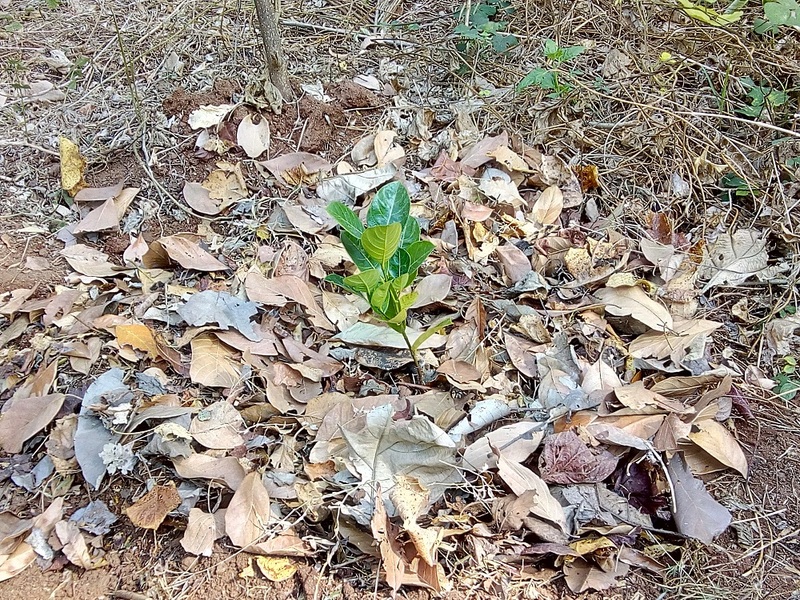 Like every year, this year also started making a nursery of trees for planting in the monsoon. If the trees are established, then planting at the start of the monsoon will make them growing very well. Put the seeds around one month back and some have germinated and growing. At a new place, seeds were sown and coir compost was put above this. Few yellow bamboo sticks are planted in grow bags, no germination seen yet, even after a month. A few were planted 2 days after full moon in February to see if they germinate better. Around 38 coconut seeds collected from farm has been planted and watered when I visit the place. Bought 2 Vietnam Super Early Jackfruit from HomeGrown when there was an exhibition in Palakkad. Each was costing 200 rupees and they have promised it will bear fruit in 1-1.5 years. Planted this by making a pit of 1.5 ftx1.5 ftx1.5ft and then mixing this soil with dried cowdung and filling it back. After this a small pit was made at the centre and planted the saplings. Charles from Canada is staying in the farm currently, so he helped with planting. Preparing the filed for rice cultivation in the monsoon. Wanted to establish a leguminous cover before rice. After the sesame crops, there are weeds growing in the field. Sown Alfalfa seeds and cut and mulched the weeds using Scythe, after this field was irrigated. Could see many of the alfalfa seeds germinated and growing, it is quite fast, just in 2 days. Since alfalfa is not establishing uniformly all around, thought of controlling strong grass with other cover crop, so also putting Desmodium Scorpiurus here and there.Collected some seeds of this and made seed balls. 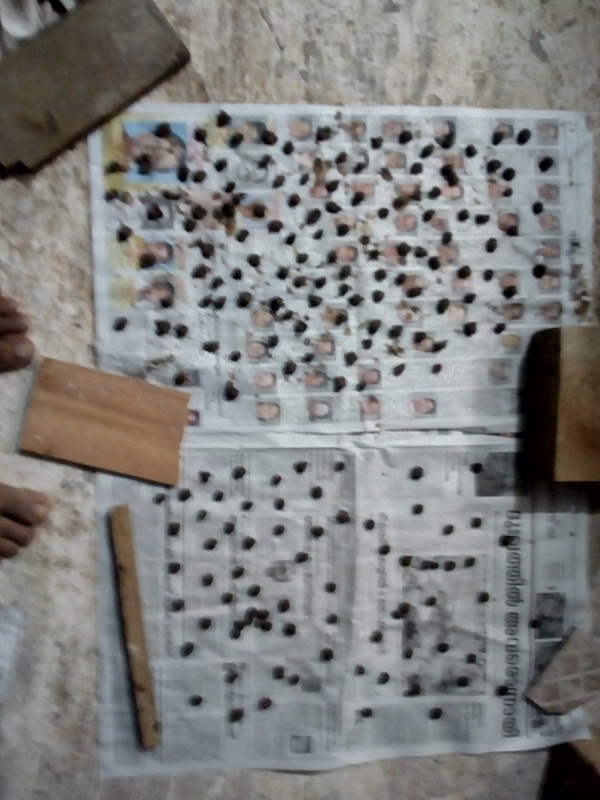 This time used clay soil from paddy field and also mixed cowdung, but the clay soil makes it very hard, after drying. Any way put it and will be irrigating it soon. 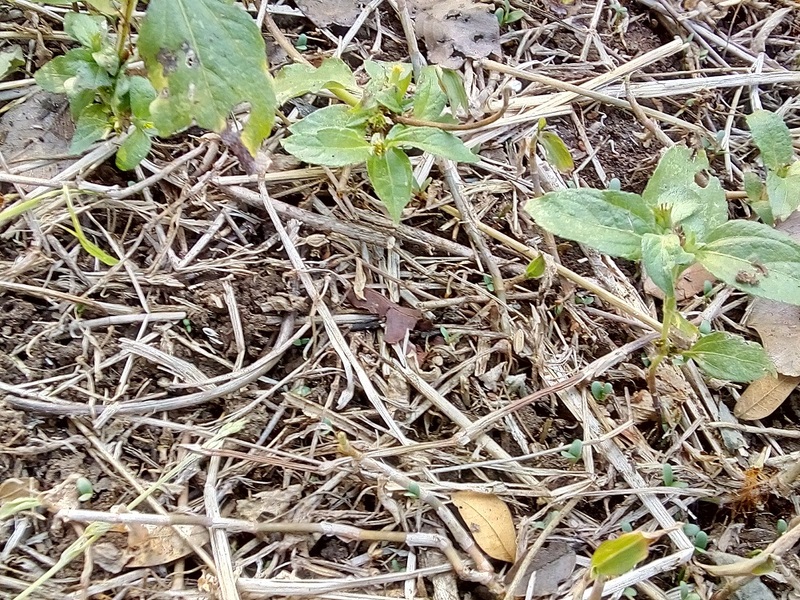 In places where one particular cover crop does not work, it may be worth trying out multiple cover crops and that also perenials so even if it is not established in single round, after a while a thick stand will be established.